Just bought my new 2008 and 1/2 Mada 3 GT with everything but nav (the nav ones are rare) love the car. Have tons of fun driveing it. just thought i would say hi. I'm new to the M3 clan too! 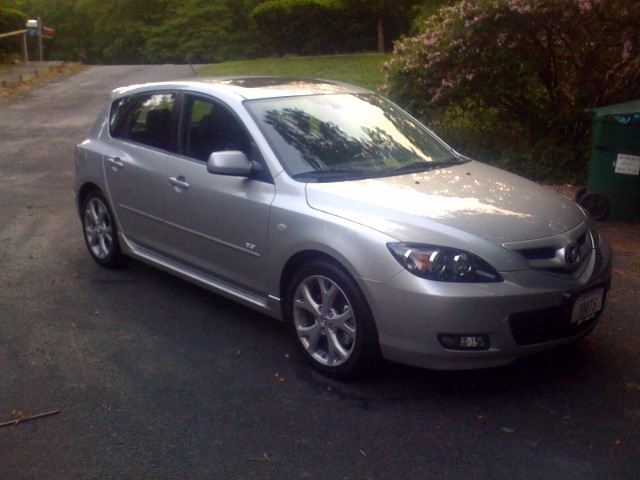 Just took delivery of My 2008 1/2 Mazda 3 Sport 5 door - non-GT... Galaxy Gray with the "new" for the half year Sand and Black interior and MP3 capability for the CD stereo. Didn't want black leather - go to the desert a lot and it's too hot. Have leather (Taupe) in My other car - 2001 PT Cruiser. Welcome, congrats on your new car. Just moved to the DC area!